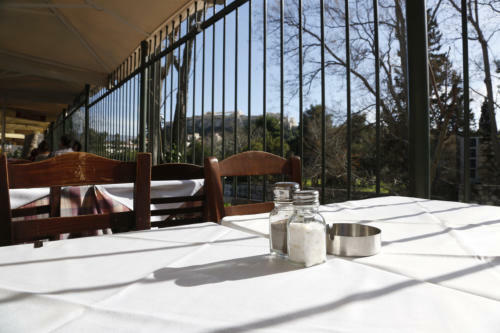 About Us Attalos restaurant is located on one of the most historical areas of Athens city centre. 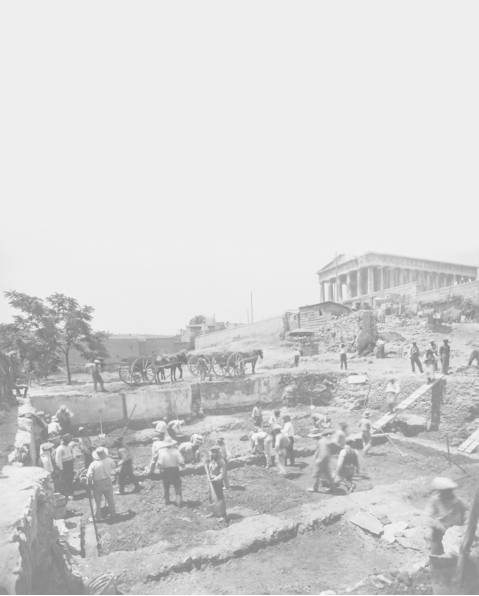 Built on the spot where the original Ancient Market used to be, part of the Panathinaia road (the biggest road of Ancient Athens that used to connect the Market with Acropolis), Attalos is surrounded by the Temple of Vulcan (Ifaistos), the Roman Market, the pedestrian road of Ermou Street and the welcoming neighborhood of Psyrri with the vivid nightlife. 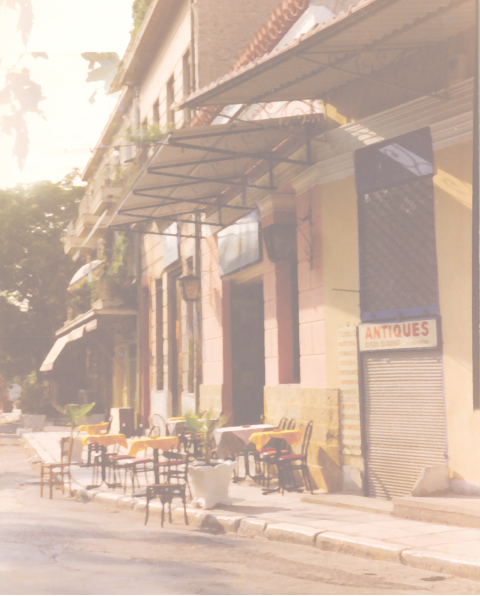 Having a panoramic view at Acropolis and the Ancient Market, the restaurant functions as a family business since 1989. At the same time, it is one of the oldest spots in the area. 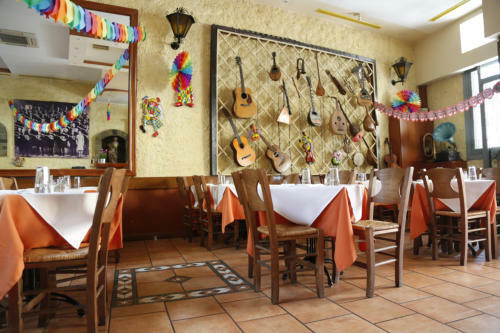 Attalos provides some of the most delicious dishes of traditional Greek cuisine. The menu is renewed and updated daily, always using the goods that flourish the specific time of the year. Fresh meat, vegetables and fruits are the basis for the dishes of the day. From traditional mousaka, giant baked beans, fresh fish such as squid stew, cuttlefish with spinach, lemon perch to the dishes of the day like traditional greek “giouvarlakia” (Meat and rice balls in white lemon sauce), Cabbage rolls and classic roasted chicken, Attalos offers the most delicious flavours! 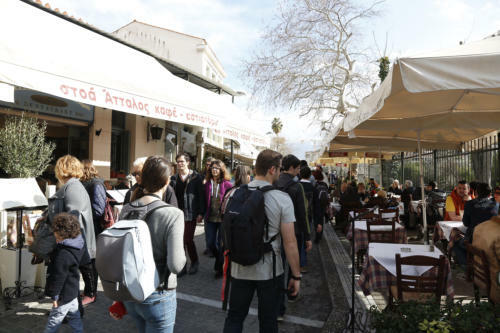 Access to the restaurant can be combined with a walk at the graphic alleys of Plaka and is very easy: Just a 100 meters away from the ISAP (Electric Railway) station of Thisseio and 200 meters from the Metro station at Monastiraki, we are waiting for you to taste our traditional Greek cuisine in a pleasant environment with great service and care.